We were up early and had a good breakfast at the Cameron Trading Post restaurant. We have been staying here, at the Trading Post, for the last 2 days. We want to get on the road early to get in as many miles as possible to avoid riding in the heat we have encountered over the last 5 days of riding together. Today is a good ride, a beautiful blue cloudless day. 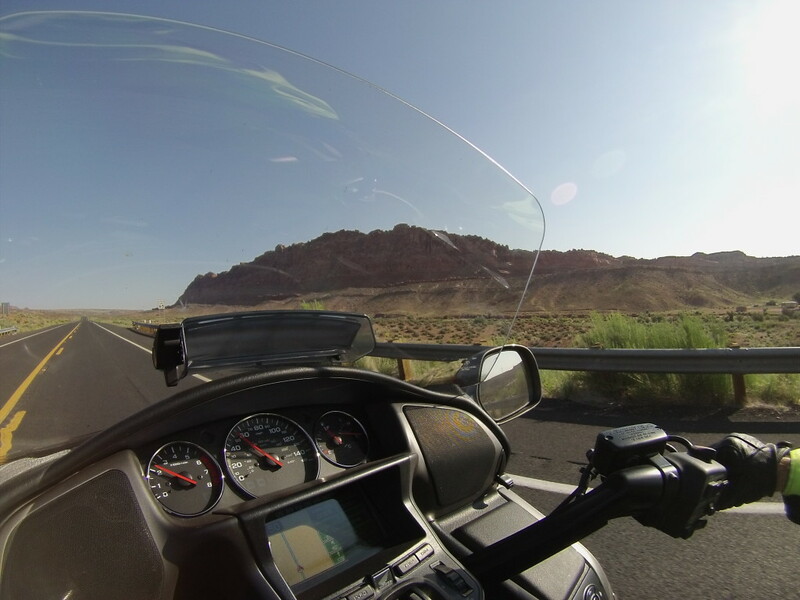 The ride from the Cameron Trading Post to Marble Canyon was mostly scenic flat desert, straight highway with gentle curves and weathered plateau hills near the highway and in the distance. 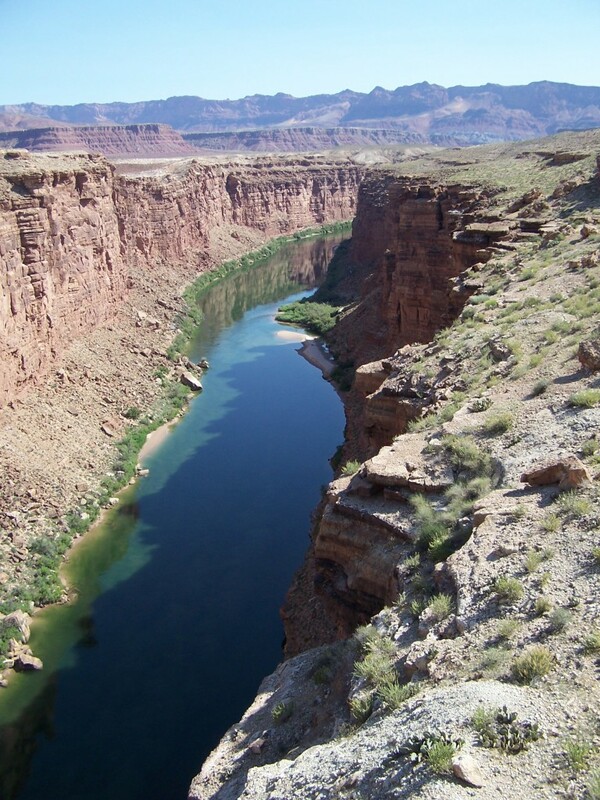 The bridge I mentioned above is just 70 miles down US-89 & US-89-A at Marble Canyon. 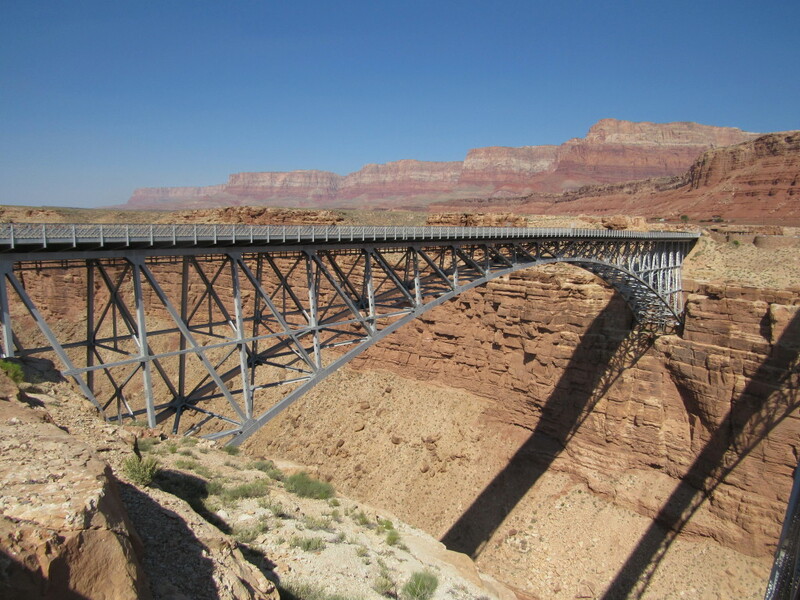 The bridge is called Navajo Bridge and spans the canyon 467 feet above the Colorado River below. 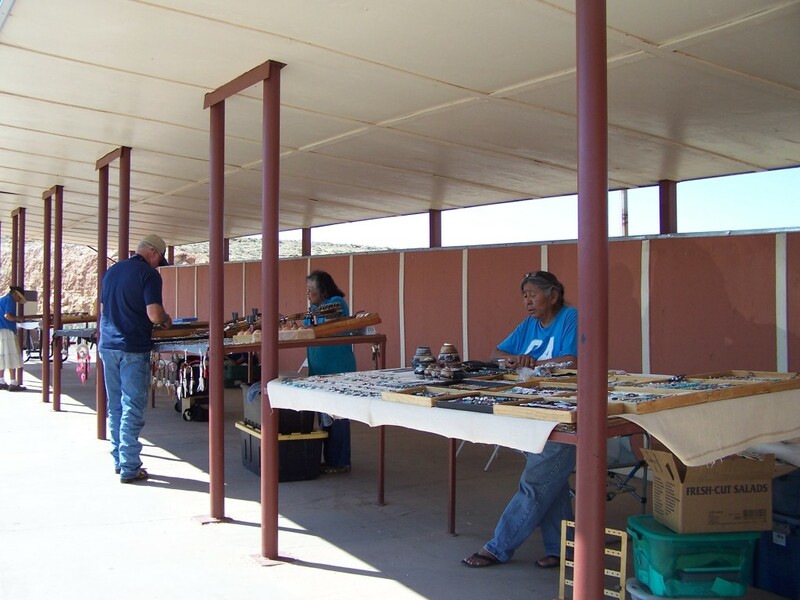 There is a pullout at the bridge where Native Americans display and sell handcrafted jewelry, pottery and other crafts… There is a walking bridge across the canyon. The walking bridge is actually the original bridge across the canyon. From the bridge we got some good photos of the canyon, the river and the new bridge. 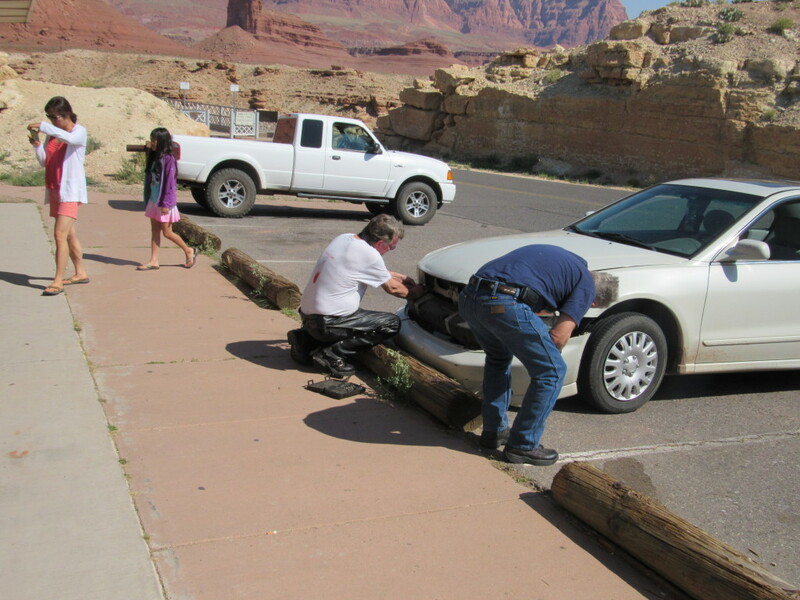 The bumper on the car of one of the Native American ladies there selling her wares had fallen off and was lying on the ground. Larry T. was looking at her bumper and decided to reattached it for her. I gave him a hand and he got it attached in a short time. She was very grateful and let him pick out a couple of pieces of jewelry for his labors. Larry didn’t want to accept her offer but she insisted. I’m sure Shirley (Larry’s wife) will enjoy the fruits of his labors. Riding north the scenery was more of the same until we reached Utah. 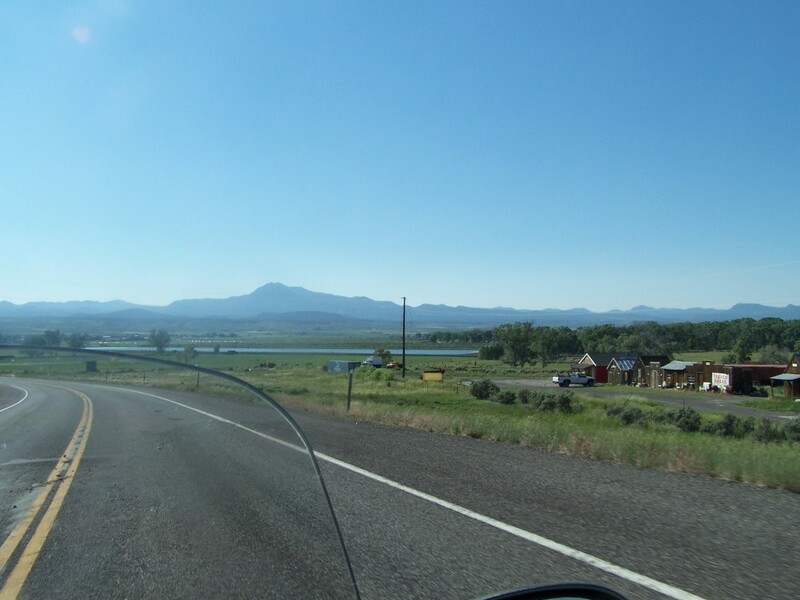 The scenery became greener, hillier and US 89 was a bit curvier. 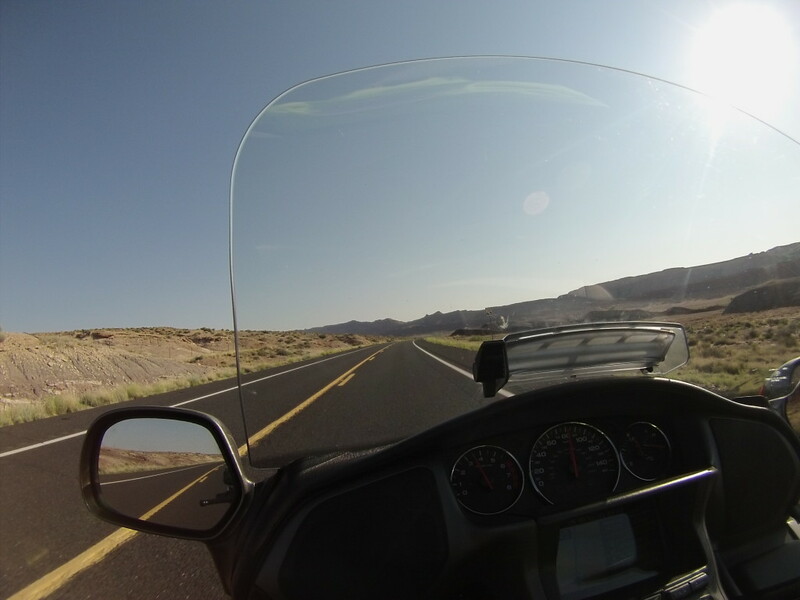 The vistas and landscapes along the route of US 89 are spellbinding with red rock canyons and mountains. There are several picturesque farms, towns, many national parks and monuments with noteworthy geography. 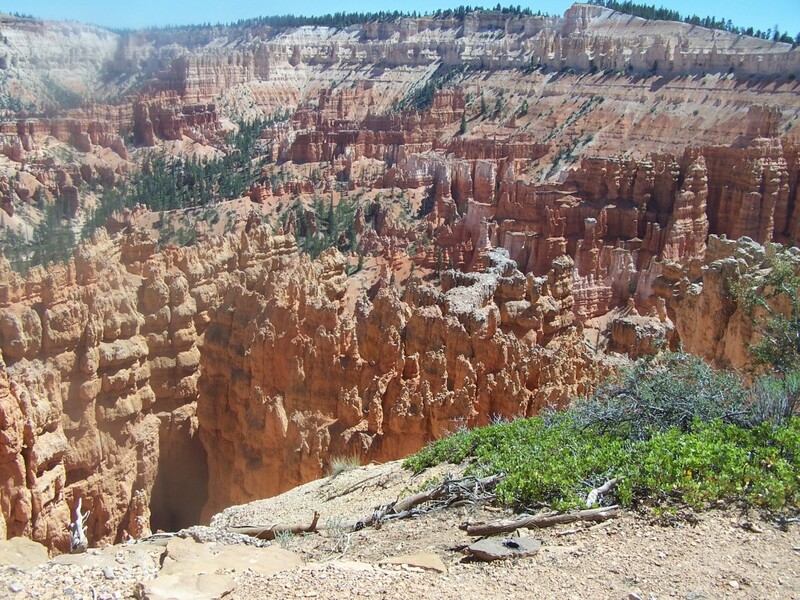 We can’t stop at all of them but we are touring Bryce Canyon National Park today. 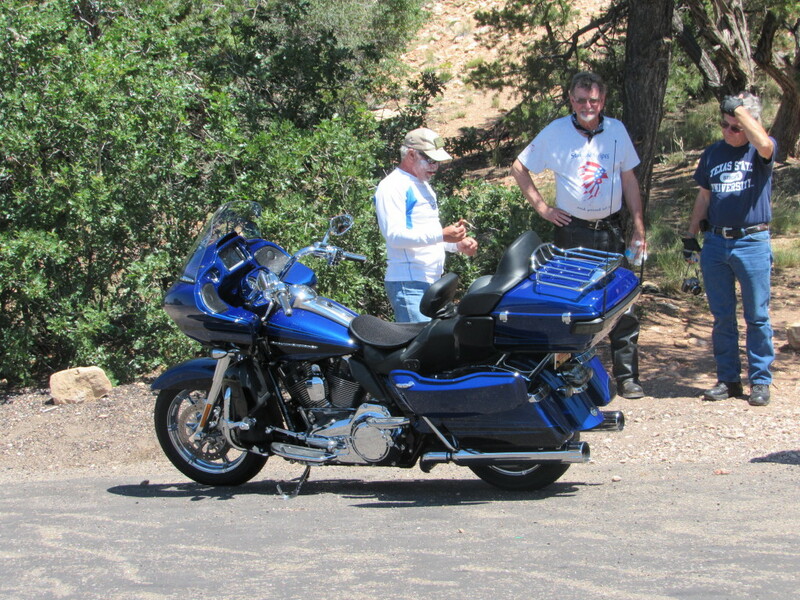 Visiting with fellow rider at rest stop. 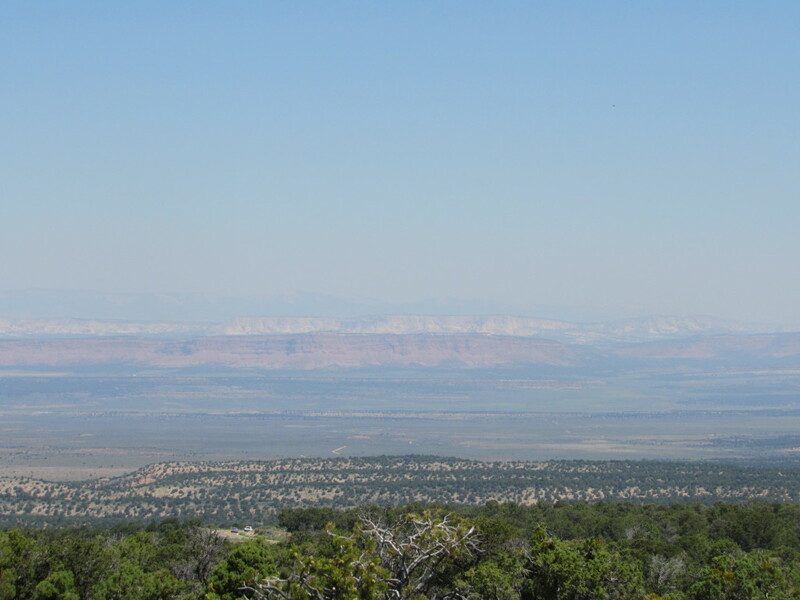 Photo by Larry A.
Panoramic View from observation deck at rest stop on US 89. Photo by Larry A. 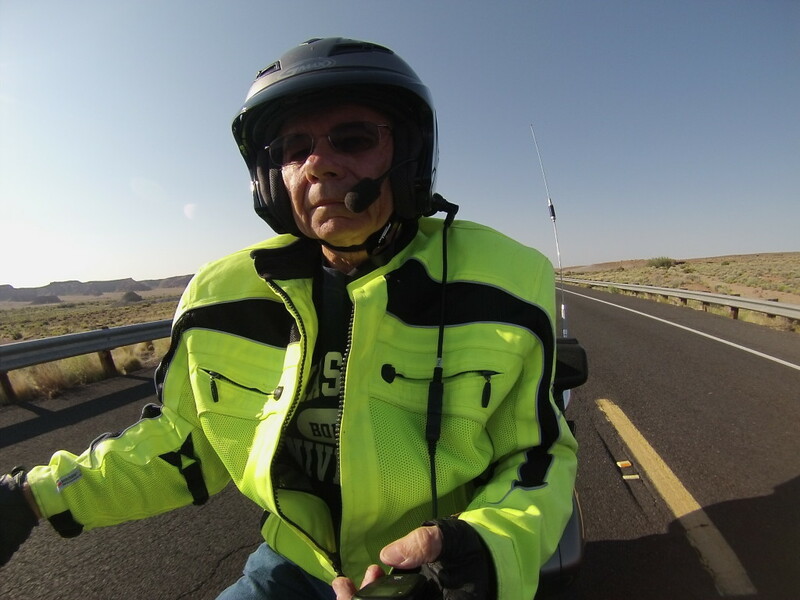 At one rest stop we met a fellow biker and swapped stories. 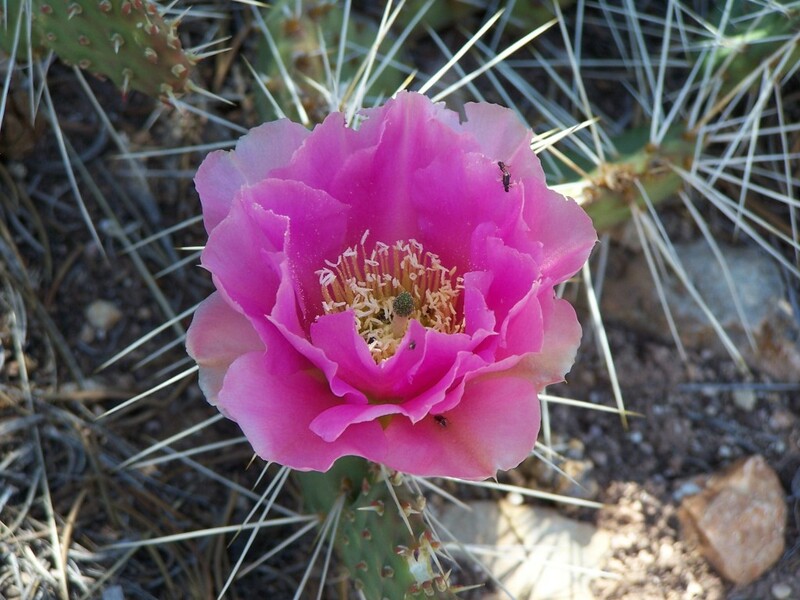 We took pictures of the panoramic views from the observation deck and of some of the flowers before heading on down the road. 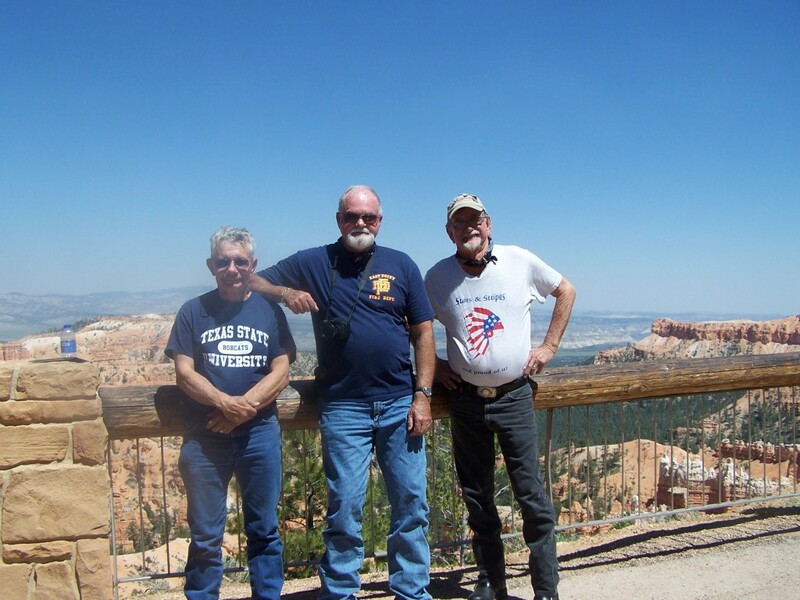 This entry was posted in Motorcycle Touring Logs and tagged Bryce Canyon National Park, long distance motorcycle touring, long distance motorcycle travel, Marble Canyon, motorcycle ride, motorcycle riding, motorcycle road trips, Motorcycle Touring, motorcycle travel, motorcycle trip, Navajo Bridge, scenic motorcycle rides, travel. Bookmark the permalink. We just stayed in Panguitch last weekend. 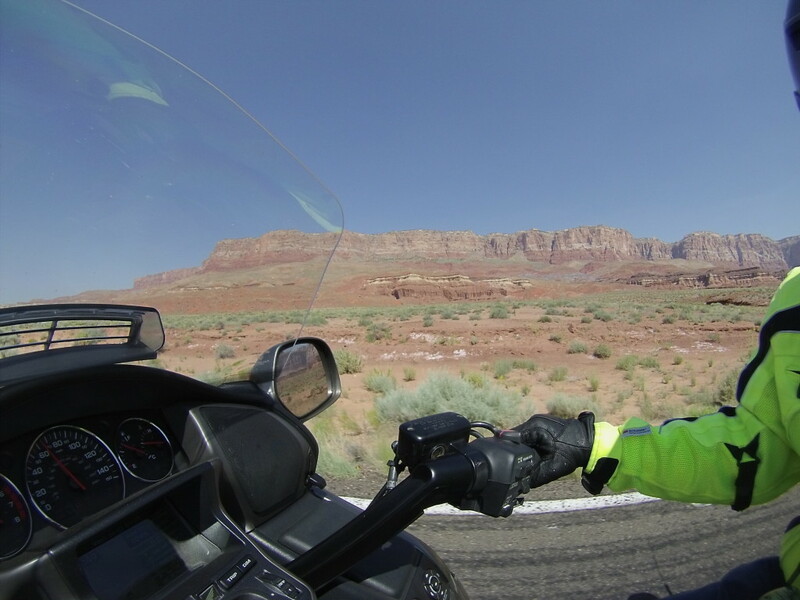 There is so much beauty in the Escalante area, we’ve been exploring it through dirt roads on our KLR. 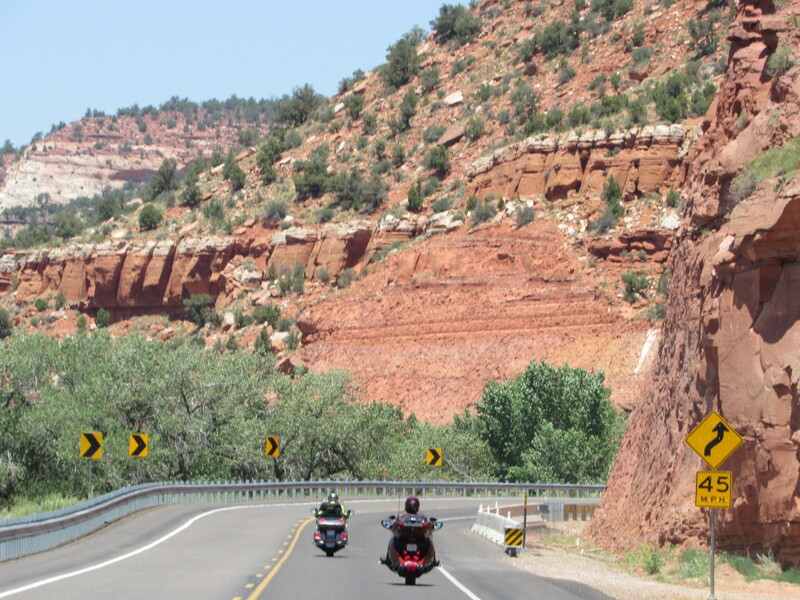 We’ve taken the Goldwing many times to Calf Creek and up the Burr Trail by Boulder. Just love it! I hope you enjoyed it as well. Welcome to the Salt Lake area. I’m from Layton which is between Salt Lake and Ogden. We have so many wonderful canyons to explore here, I hope you can take some time to do so. 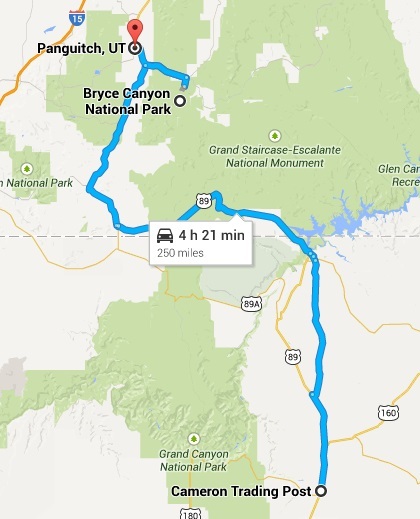 A couple of my favorites are the Mirror Lake Hwy and Logan Canyon going to Bear Lake. Have a great trip and thanks for sharing! I have a 2010 wing titanium like yours. I would like to know how you keep your windshield that clean! My cleanest day ever isn’t as nice as yours after thousands of miles. Southern Utah is gorgeous (never been to the north part of the state). Moab area with Canyonlands and Arches N.P. is our favorite. Enjoy the canyons!